The Capitals will look to get back to winning ways Sunday afternoon against the Chicago Blackhawks. Here’s everything you need to know about the game. 1. Can the Caps end their slump? 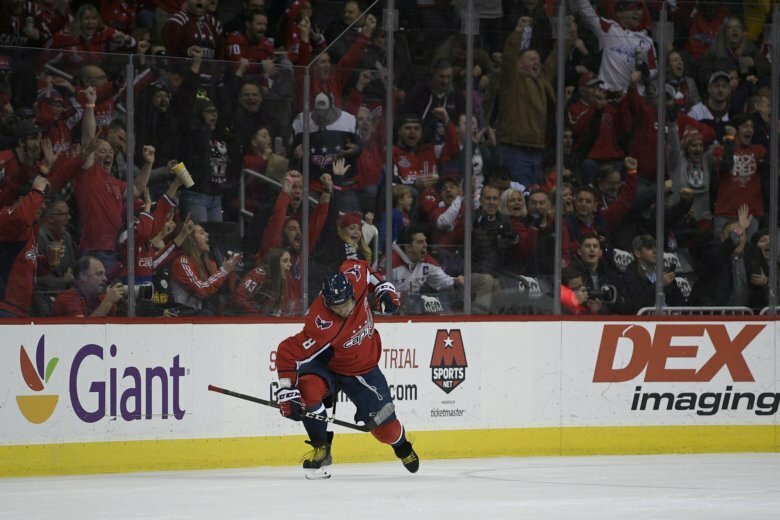 The Caps are in the midst of a four-game losing streak. Last time out, Washington welcomed former coach Barry Trotz and the Islanders to Capital One Arena Friday night, New York handing the Caps a 2-0 shutout loss. With the defeat, Washington fell to third in the Metropolitan Division standings. 2. Change is coming: With his team in the midst of a barren stretch offensively, head coach Todd Reirden is planning to make some line adjustments for Washington’s visit to Chicago. The biggest change will see Evgeny Kuznetsov moved down to the third line. 3. A note on Chicago: The Blackhawks are also in the midst of a cold stretch, having lost five in a row. Coverage begins at 11:30 a.m. on NBC Sports Washington. Livestream it here. 4: The Caps have scored just four goals in their last four games, all losses. Listen to a podcast on the Caps’ loss to Trotz and the Islanders here.